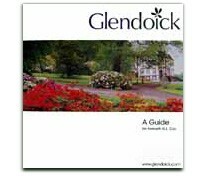 The first full colour Guidebook to the Gardens, Garden Centres and Nurseries of Scotland. 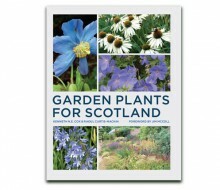 Describes over 500 Scottish gardens, nurseries and garden centres. 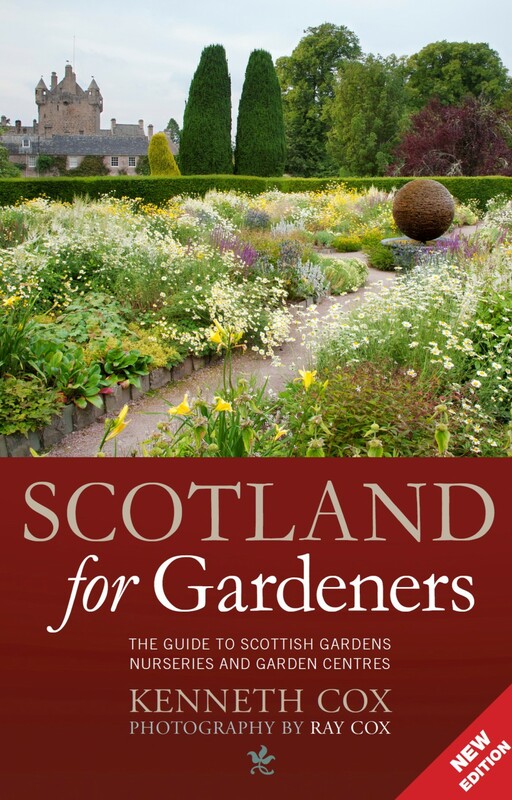 Introduction on history of Scottish gardens and issues of conservation and marketing of gardens. 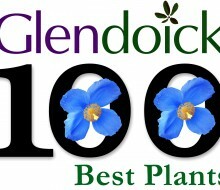 Detailed maps of locations and extensive 'Best of' lists. 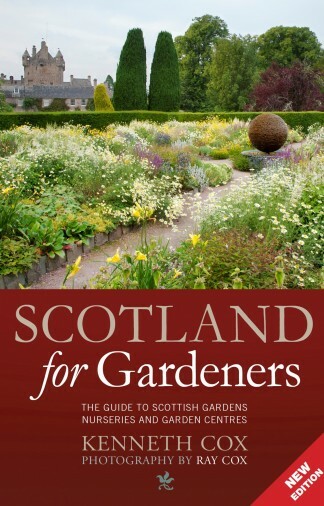 'Scotland for Gardeners is almost certainly the best gardening book I’ve come across in a long time'. There is nothing in Scotland to match the panorama of Scotland’s finest formal gardens, viewed from the vantage point of the upper terraces between the keep of old Drummond Castle and the more modern mansion. It is worth watching visitors’ faces break into a smile of pleasure as they take in the incredible spectacle. This is the nearest thing Scotland has to the gardens of the great French chateaux and it is almost incongruous amongst the rolling hills of Perthshire. The drive is special too, with a mile-long avenue of beech trees. Apparently John Drummond, fourth Earl of Perth, had intended for the avenue to lead all the way to the city of Perth 20 miles away. This amazing garden has been made, abandoned and re-laid several times in its history. The first formal garden was laid out in French style in 1630 but Cromwell’s vandals destroyed it and it was later overgrown by trees. 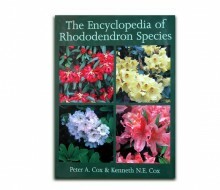 John Reid, Scotland’s first horticultural author, worked at Drummond in the late seventeenth century. The Drummonds backed the Jacobite cause and were forced into exile till 1785 and the formal gardens were not re-established till the nineteenth century, when they were designed by Lewis Kennedy, who had previously worked for the Empress Josephine at Malmaison in France. He used the saltire as the main design element and created the main axis vista down the elaborate staircase, between the parterres out beyond the garden through the woods on the hillside opposite the terraces. The 12-acre rectangular formal garden is bisected by 2 diagonal lines, forming the St Andrew’s Cross with 5 parallel paths from north to south, and 2 large ponds at either end. The Victorian gardens were widely proclaimed as the best of their type and Country Life declared it the finest Edwardian garden in Britain. Two world wars were the cause of another period of decline and abandonment and it was Phyllis Astor, wife of the earl of Ancaster, who restored the gardens once again during the 1950s. The ancient yew and beech hedges and some topiary remain from Victorian days, with the fine red Japanese maples a clever addition which not only provides fiery autumn colour but, with Prunus pissardii, a startling contrast with the yellow fastigiate yew throughout the summer. The box parterres are filled withAnaphalis triplinervis, lavender and roses and there are rounded hedges surrounding Italianate statues and urns. There are two narrow terraces at the top, a steep grassed slope to a further terrace wall and then steps down to the garden itself. The choice of planting makes this formal garden attractive all year long, even in winter, as the structure is strong. What makes it so magnificent is the height of the vantage point. Of Scotland’s other formal gardens on this scale, Dunrobin shares the clifftop vista; it is a pity Pitmedden can’t boast a similar vantage point. Do walk right down to the far side of the garden, where there is an impressive kitchen garden with greenhouses and some fine mature copper beech apparently planted by Queen Victoria. It has to be admitted that walking though the gardens, though worthwhile, is somehow a bit of a let-down after the magnificence of the view from above. There is no doubt that this is one of Scotland’s must-visit gardens and it is particularly well worth a visit in late October for Autumn colour. 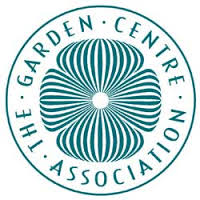 Latest changes to gardens listed in the 2014 edition. 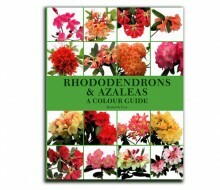 Gardens which have changed ownership, closed etc since the book was published. 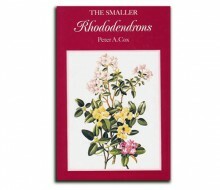 What to grow and how to grow it. 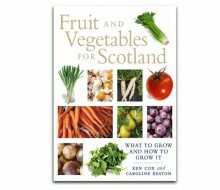 The first contemporary guide to growing fruit and vegetables in Scotland. 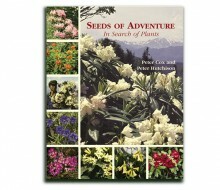 A lavishly illustrated book on the plant hunting expeditions of Peter Cox and Peter Hutchison in search of plants from 1961 to 2005. 416 pages. 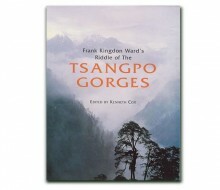 100s of colour photographs.